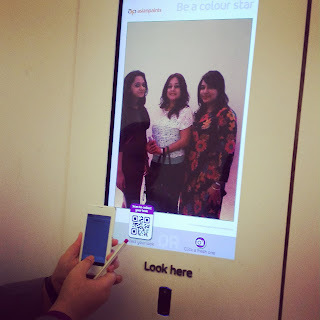 Last weekend, I was invited to Colours Store by Asian Paints store, at Hill Road, Bandra for a bloggers meet. 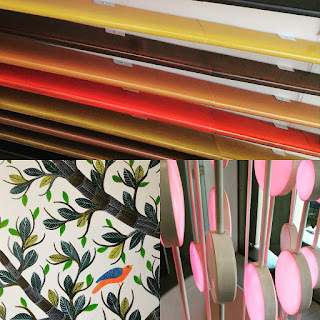 I haven't really had the opportunity to renovate my room in a long time, and we usually go for ready-made houses and don't get much changed in it, so I was quite out of loop when it came to what's new in the decor industry. Well, I was in for a pleasant surprise! Entire store has so much to offer, different decor, colours, styles and so much creativity, it almost felt as if I was walking through some kind of Art Gallery. I was taking pictures like crazy! 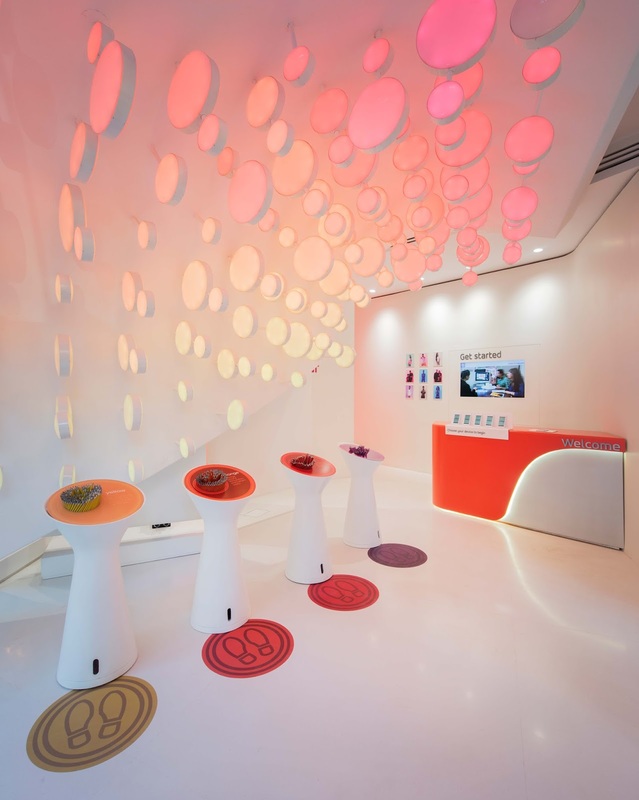 There were different set-ups made, and the entire store is very tech-savvy where at the entrance you get a smartphone that you can use to scan the QR codes of any decor theme you like, and at the end, take home a catalog. There also are 2 photo-booths of sorts, where you can take pictures, and again scan the barcode to get your picture printed. I'm sure it's things like these that attract customers and excite them. 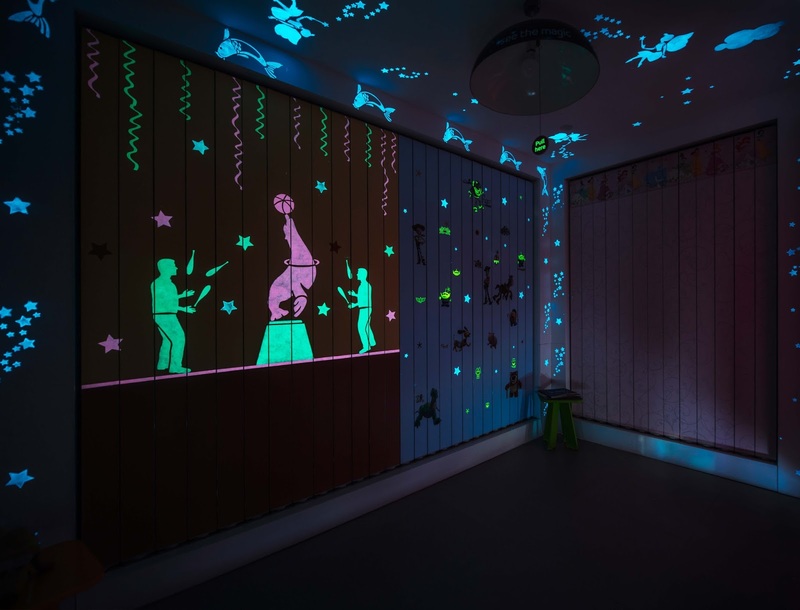 Even the accompanying kids have a lot to get thrilled by. So a visit to the store is a lot more like a fun expedition than a chore. Me, Bhakti & Ekta posing for the photo! I absolutely loved the Wall textures by Sabyasachi, as well as the floral themed bedroom. It was hard to believe that you can achieve so much with just wood. With the right kind of paint, you can make wood look like marble, metal, plastic etc. You can even paint glass and make it look so much more elegant! The things you can experiment with and do are definitely beyond imagination. 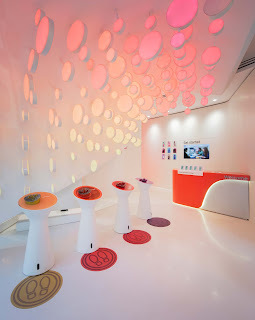 And I even learnt colour of the year - Coral Radiance. My most favourite theme. I could totally live here. I had heard of glow in the dark paint, but saw it in reality for the first time at this store. And to talk about walls in the children's room with magnetic movable pieces! I had such strong #HomeDecorGoals after the entire tour. 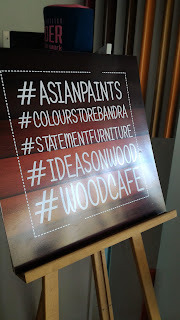 We were also a batch of privileged bloggers who got to know about Asian Paint's latest innovating campaign where the collaborated with three designers/artists and as a result came up with 3 sets of masterpieces, all made out of wood. 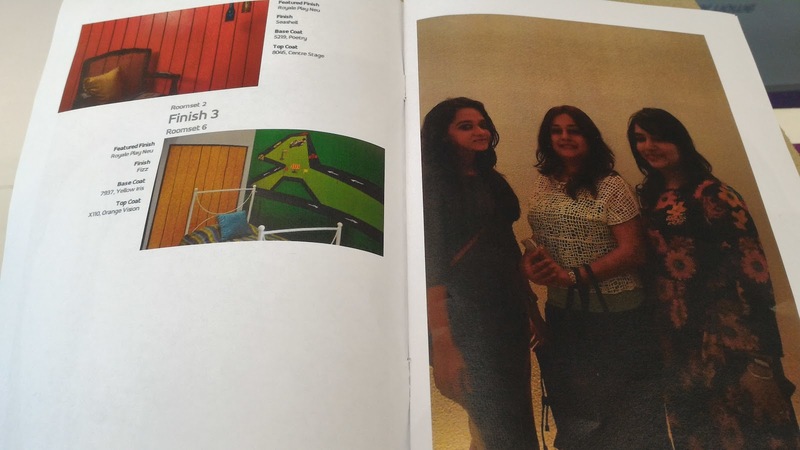 The pictures we saw looks just surreal, you can go check the real-deal at India Design Week happening in Delhi. We also had a fun session where as a team we had to revamp a piece of furniture. 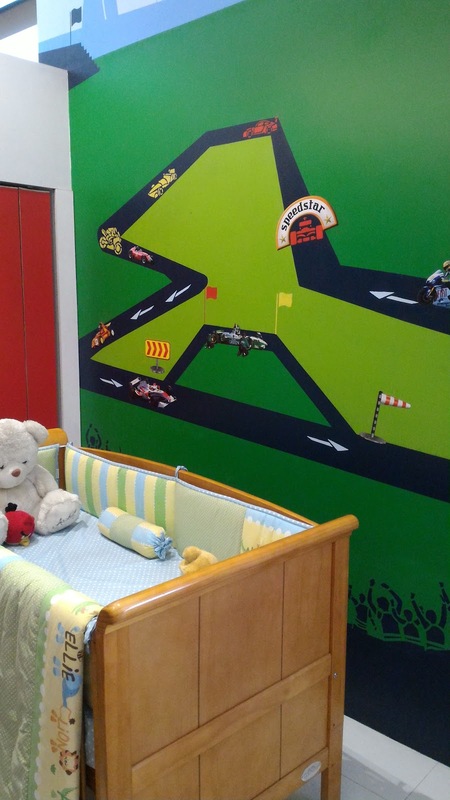 This is what our team did, and we were quite happy with the end result. We had some snacks thanks to the snack box by Moshe's. And were finally sent back with a goodies bag that had a notebook, pendrive, a wooden box and quilling paper to decorate the box on our own, and some Asian Paints samples. 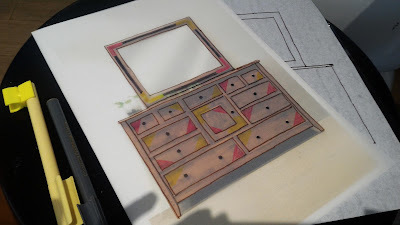 If you think you want to refresh your furniture without actually buying new furniture, it's absolutely possible with the different options by Asian Paints. 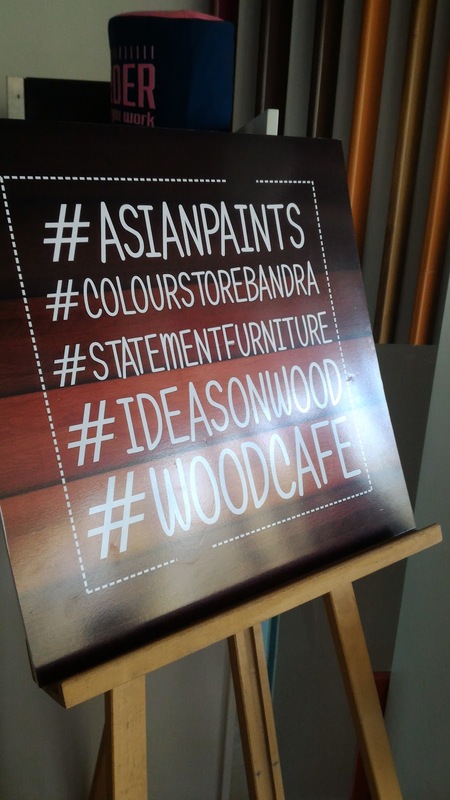 Take a look at the amazing options here - https://www.asianpaints.com/woodtechstudio If you reside in Mumbai, do make it a point to visit the Colours store at Bandra! They also have a store at Delhi & Kolkata. 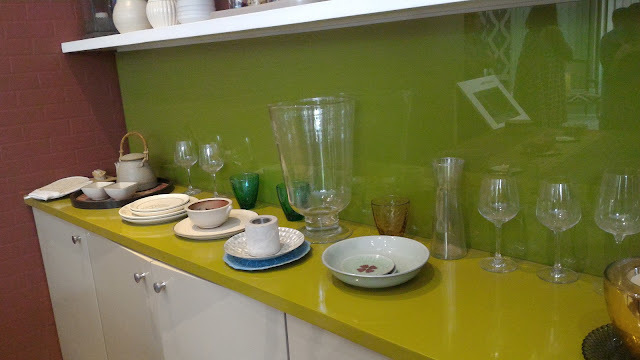 Whenever I renovate my home, I now know where to go and what to do! 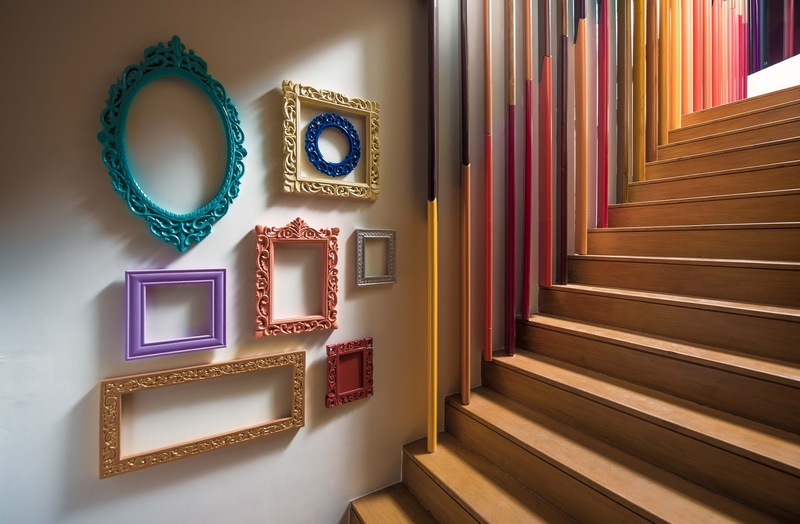 In a country like India, vastu solution in hindi is considered one of the basic requirements while constructing a property or building according to pre-specified principles. It is necessary to follow these principles for wealth, health, fame and prosperity in life. Though it has become difficult to follow each and every principle in the present era, it is important to make maximum use of tenets in order to achieve peace and harmony in life.